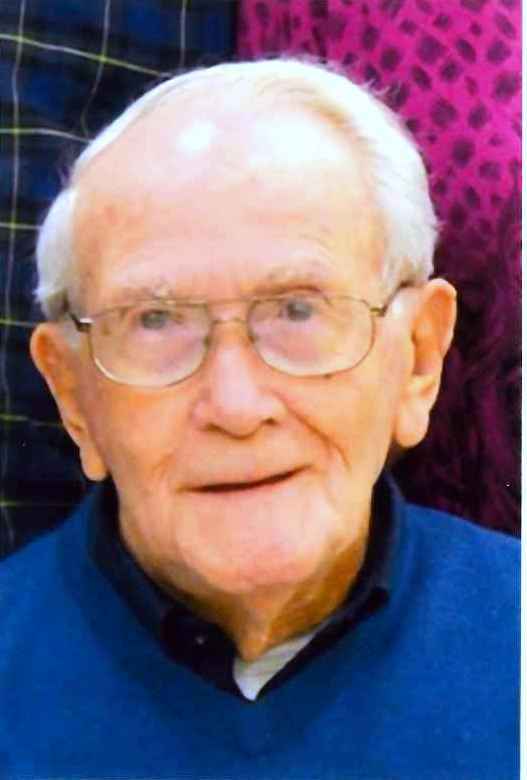 Merle C. Dodd, 101, of W. Frederick St., Corry, Pa., died peacefully Wednesday, April 18, 2018, at his home surrounded by his son and care givers. He was born October 25, 1916, in Columbus, Pa., a son of the late Frank and Cora Hall Dodd. Merle was raised and educated in Columbus where he graduated from Columbus High School in 1934. For many years he coowned and operated Dodd’s Farm with his brother Leslie. He was also self-employed as a real estate broker and had built many homes and buildings throughout the area. Merle was very active in social and civic organizations including; past President of the Cedar Pointe Condominium Association in New Port Richey, Fl., member of the Advisory Board of Elfers Senior Center of Elfers, Fl. for 12 years and spent 2000 hours of community service there, served on several boards of the Columbus Community Church, and was an original member of the Columbus Volunteer Fire Department. Merle was also an original member of the Corry Industrial Development when it was formed and was a member for 17 years, and a former member of the Kiwanis Club of Corry and of Tarpon Springs, Fl. He enjoyed traveling and for many years after his retirement, Merle and his wife spent winters in Holiday, Fl. In addition to his parents, Merle was preceded in death on November 15, 2007 by his wife, Alberta Kimmy Dodd, whom he had married on November 18, 1937 in Clymer, N.Y.; his sister, Betty Carter; and his brother, Leslie Dodd, Sr.
Merle is survived by a daughter, Taree Schrubb and her husband Victor of Livingston, Tx. ; a son, Bruce Dodd and his wife Bonnie of Cranberry, Pa.; three grandchildren, Corey Schrubb, Anthony Dodd, and Renee Lang; four great-grandchildren and several nieces and nephews. There will be no visitation or service held at this time. The date, time and location of the Memorial Service will be announced at a later date. Burial will be in West Lawn Cemetery, Columbus, Pa.
Memorials may be made to the Corry Senior Citizens Center, 25 South 1st Ave., Corry, Pa., 16407. Funeral arrangements are under the care of the Bracken Funeral Home, Inc., 315 N. Center St., Corry, Pa., 16407.